One of the significant drawbacks of PowerShell scripts is the command line interface. The result of the scripts is displayed in the CLI window and this is not always convenient for the end user. However, PowerShell is a powerful and modern automation tool for Windows that allows you to transparently use .NET Framework objects. For example, using the .NET API, you can easily create a simple graphical interface GUI for PowerShell scripts. 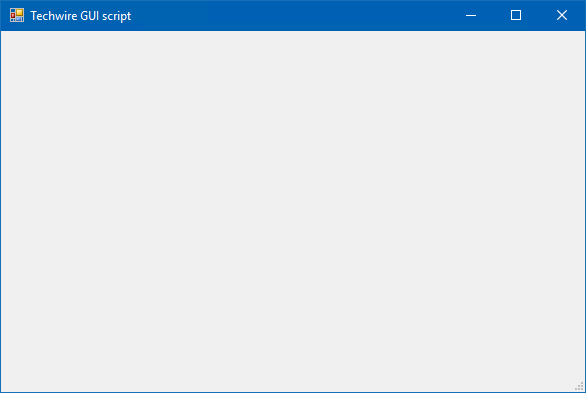 In this article, I’ll show you how to create a simple Windows GUI form using PowerShell and place on it various standard dialog elements. 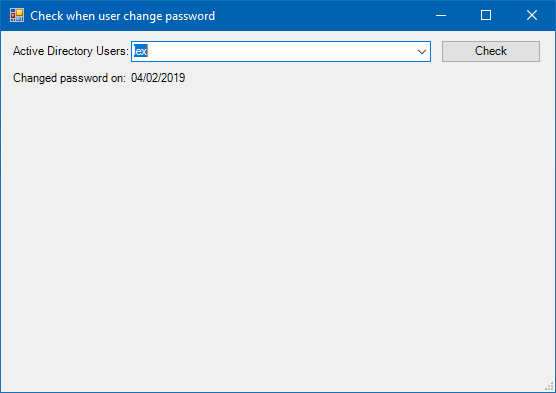 In this example, we write a simple GUI script that shows the last password change time for the Active Directory user. 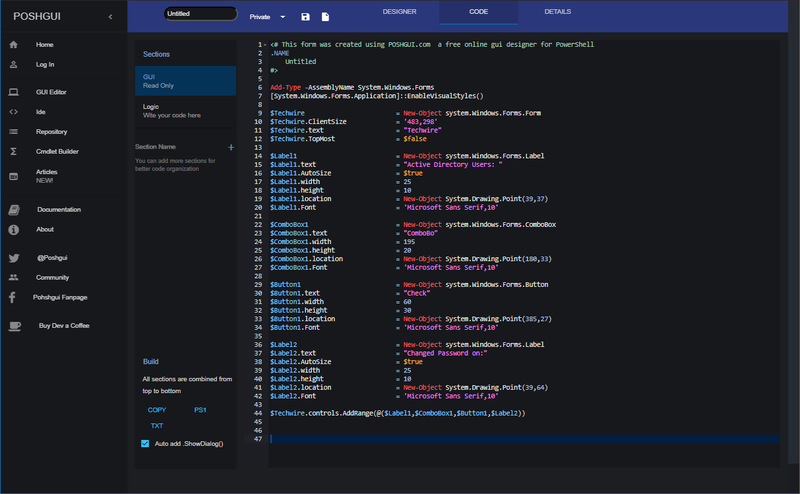 As you can see, an empty form (window) is displayed. To add various graphical dialog elements to it, before the last line ($Main_Form.ShowDialog()) add the code below. $Label.Text = "Active Directory Users:"
$Label2.Text = "Changed password on:"
# Add an event to the Check button, when user click on it. When you run the PowerShell script above, you can see, it fills the drop-down list with the names of the accounts from the Active Directory. If you select the user account and click the Check button, the form displays the date when the user changed the password. 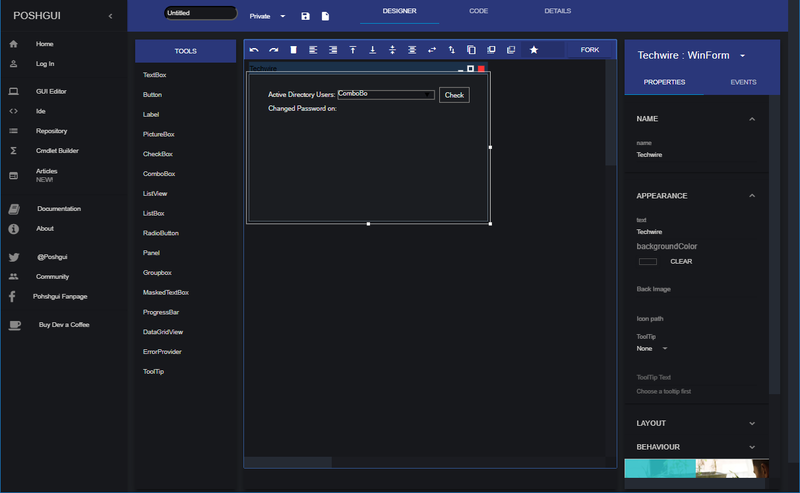 For more convenient creation of graphical elements for PowerShell forms, you can use the online editor to create a GUI form for PowerShell scripts: https://poshgui.com/Editor. With it you can create a beautiful form with the necessary dialog elements. And get ready PowerShell code for your GUI scripts.